The key to becoming an effective server is to have a flexible personality, good communication between you and your guests, and a smile! 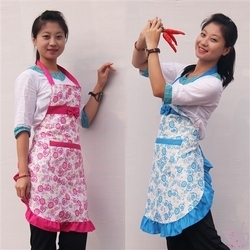 And for that final touch, a happy, attractive and fun to wear waitress apron!!! 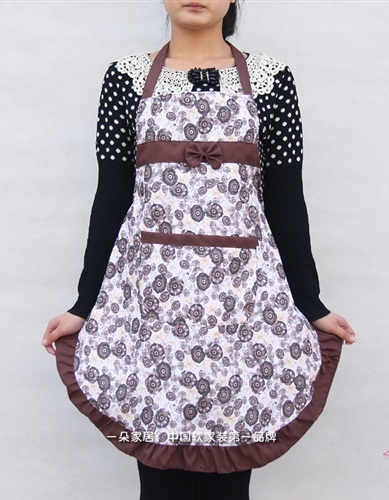 This apron features sweet frills around the hemline from to back. A large front pocket with contrasting solid trim, a front bow below the chest area and neck straps make this apron just the right thing to wear around your guests!